You thought the stories you play through in Michael, Franklin and Trevor's lives in Grand Theft Auto V were grim, didn't you? Well, you haven't met Sarah yet. And, guys, I don't think she's built for life in Los Santos. 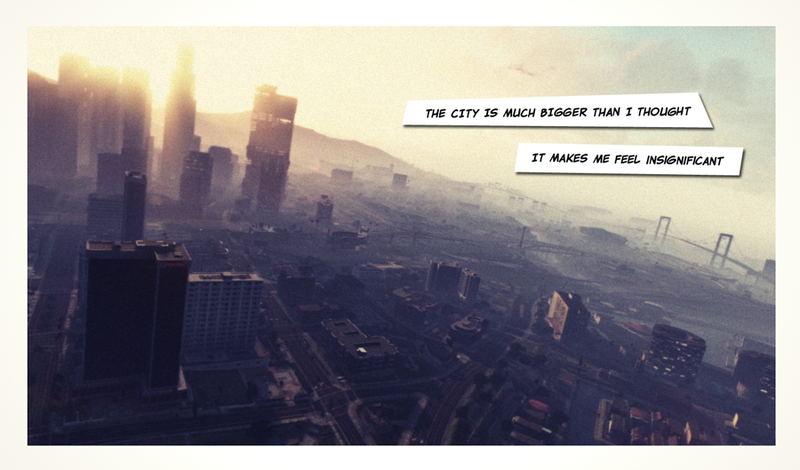 Redditor berdu took snapshots of life in Rockstar's broken-mirror version of Los Angeles and stitched them together with a fictional letter from a recently re-located young woman to her parents. That last image can be interpreted in a… suicidal way. Hope Sarah's okay.